At Paw Print we are always trying to think of new things that will enhance a puppy buyer’s experience. 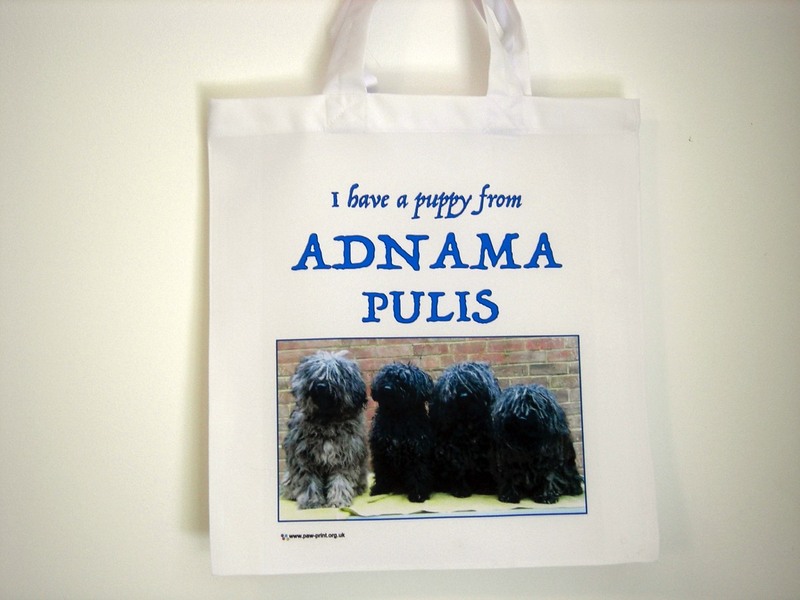 for the new puppy owner to receive from the breeder of their new puppy. 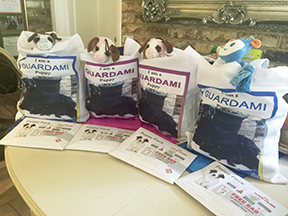 On the right, the first puppy bags we printed, stashed full of everything a puppy needs to take to their new home. 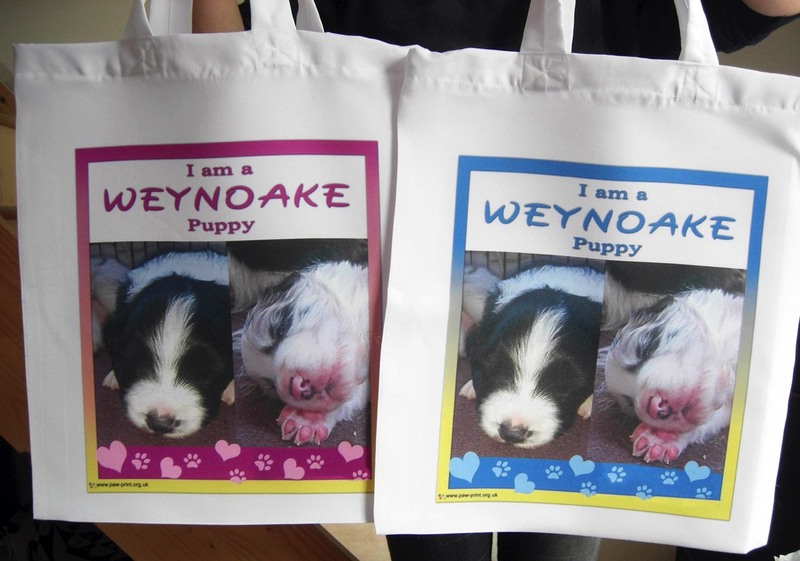 Our printed tote bags are approximately 38cm x 42cm, dye sublimation printed on to 100% white polyester. They are durable and if washed correctly, won’t fade. Below are just a small selection of the different designs we have already printed. You can have a your own unique design. If you would like a bespoke design, email us.